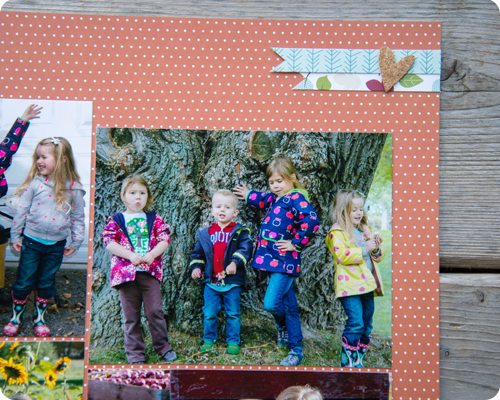 I have another layout to show you today, this time featuring a picture of my girls on Halloween. Of course they were dressed up as princesses, because when you are five and seven what else do you dress up as? 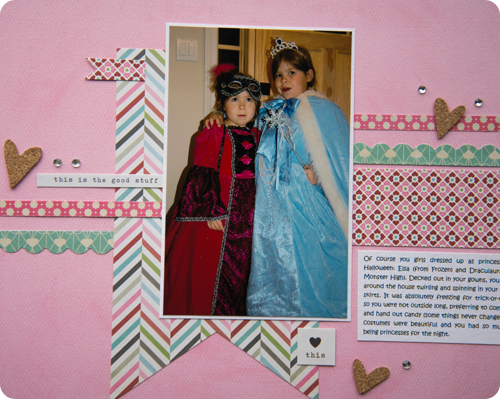 Bridget was Elsa (shocking, I know) and Claire was Draculaura (from Monster High). 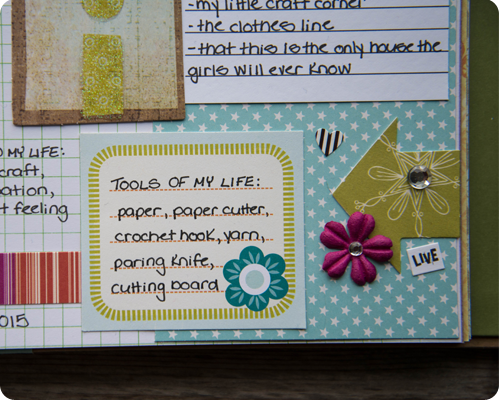 I used papers from the True Love line by Basic Grey for this layout. 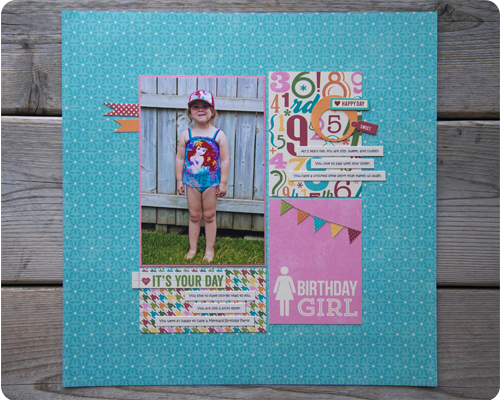 Lots of scrapbooking and crafting going on around these parts. I feel very creative and productive right now – not sure what brought this on, but I’ll take it. 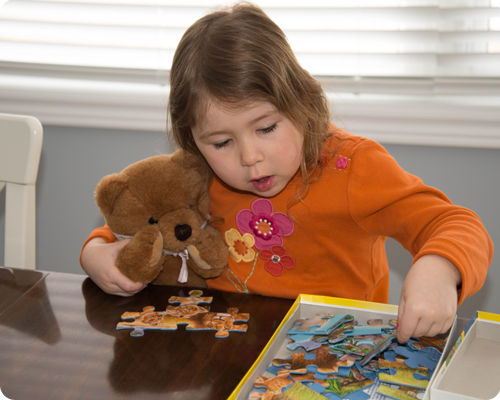 Claire - Your love for puzzles continues, this time with your bear Sally by your side. You love to hear the story of how this was my bear as a little girl and how I gave her to you on your first birthday (a bear I loved, for the Claire Bear I love). 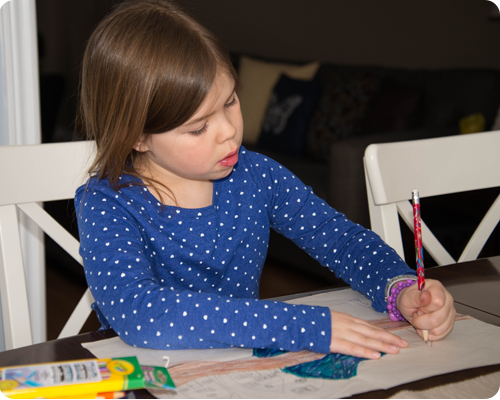 Bridget - You came home from school bursting with the idea to design your own town. With intense concentration, you got straight to work drawing: houses, a library, a campsite, a farm, a picnic area. You named your town Funville. 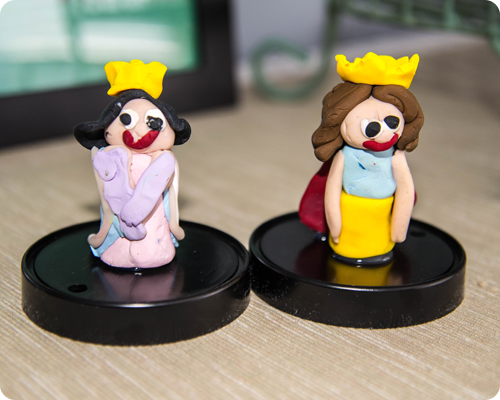 The girls went to an art workshop and made these adorable little princesses out of clay. I love the attention to detail and how proud they are of their work. 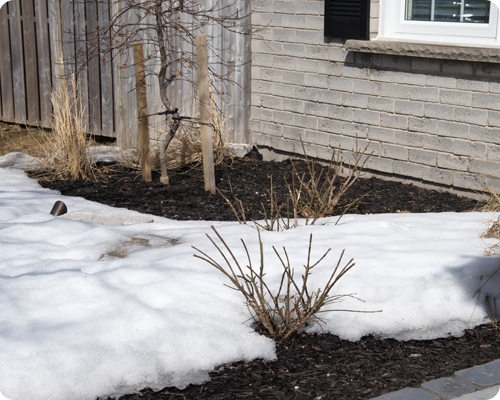 The snow is melting in the backyard. 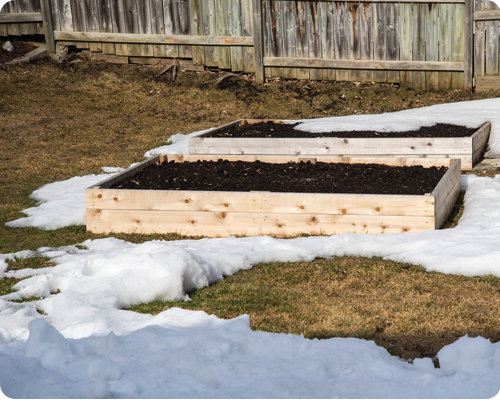 Seeing the gardens almost free of snow has got me thinking about what vegetables and herbs I want to plant this summer. Summer dreaming. 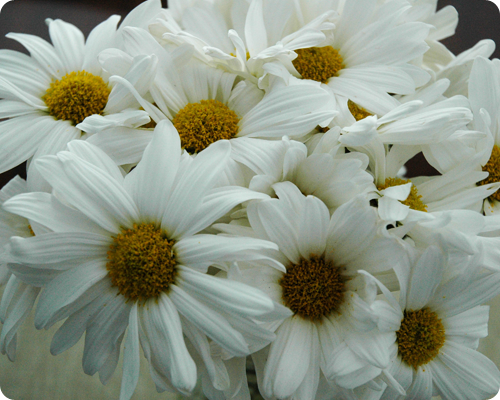 Beautiful flowers given to me by a sweet neighbor. Hope there have been lots of smiles in your week. 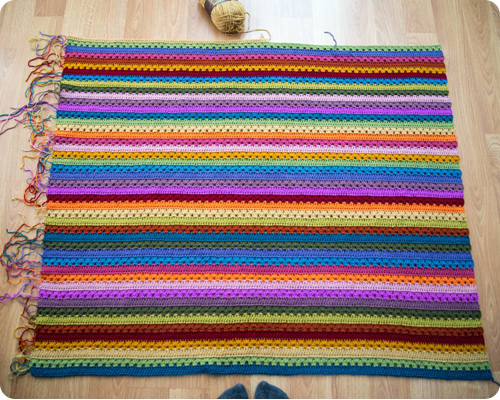 I did it - I reached the half way point of my cozy stripe blanket. I am really enjoying this blanket journey. I have the pattern completely figured out (no more mistakes resulting in a lot of ripping out) and I love seeing which color comes next. 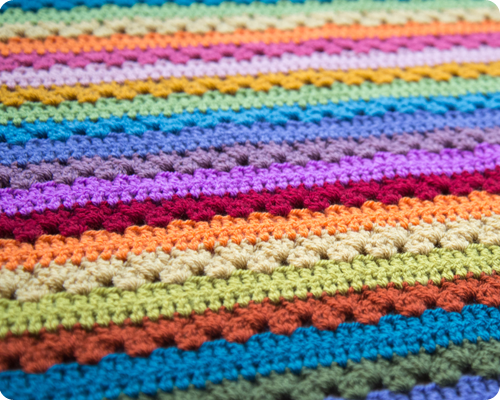 It is the perfect project for the way my days are at the moment - a simple pattern with immediate happy results that is easy to pick up, work on, and then put down. 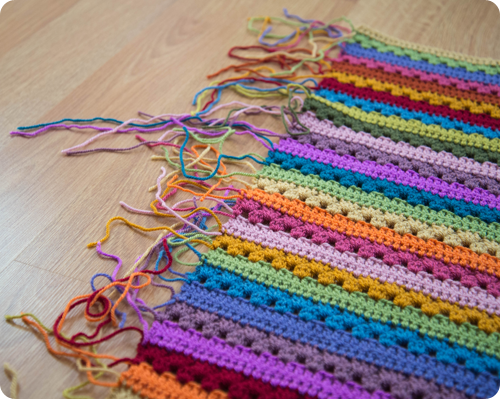 I try to spend a little time in the late afternoon (after I am home from work and the school run) crocheting a row or two until it is time to put down my hook and start dinner. After dinner, so long as I am not too tired, I pick up my hook again and crochet a few more rows. 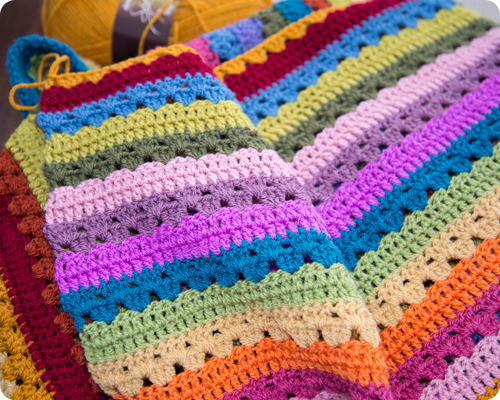 A little at a time, a little everyday, and before I know it I will have a beautiful cozy stripe blanket. So are you ready to see what my blanket looks like half way done? Well, without further ado, here is it. Oh my goodness, I love it. I actually squealed when I saw it all laid out in its splendor on the living room floor for this picture. I mean, I knew what it was going to look like - I've seen it over at Attic 24 - but there is something thrilling and incredibly satisfying to look at something as gorgeous as this and know that I made it. 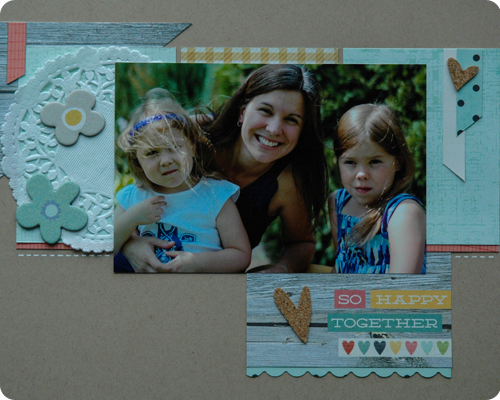 This is such a happy project and I am really enjoying working on it. Of course I should probably darn in some of these ends or I am going to have quite the job on my hands when all the stripes are crocheted. Since completing my list journal last month, I have kept on journaling - making more lists, getting my thoughts and feelings down on paper - and it has felt great. I feel like I know myself a little better. Like I notice the little things around me more. Like my head is clearer because all these thoughts are written down and not competing with each other for memory space. 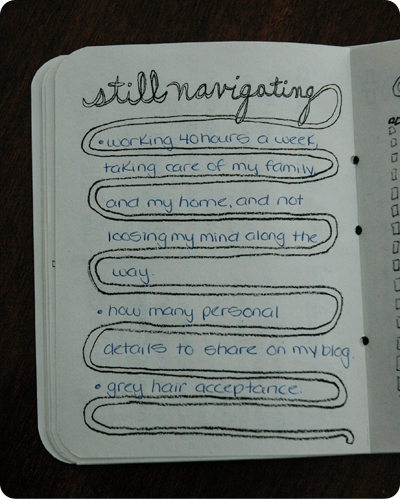 Journaling is definitely a good thing for me and I am really enjoying it. 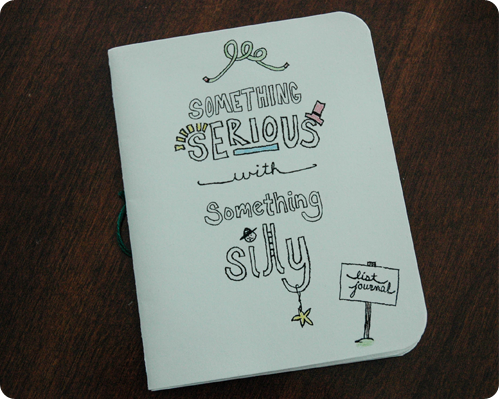 For my journal, I am using my SMASH book. I wanted to get my story and thoughts down on paper and make it look pretty at the same time, and so far this book has worked well for that. 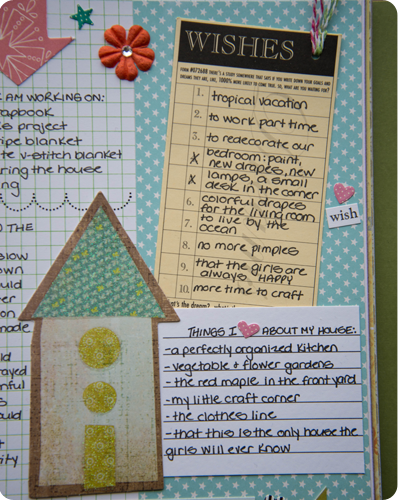 Using some of the writing prompts found here, as well as others I saw and loved while reading about journaling and looking at other peoples’ gorgeous books, I built my first page: writing lists; adding pictures and die cuts; writing smaller lists on journaling cards; placing flowers and word stickers. 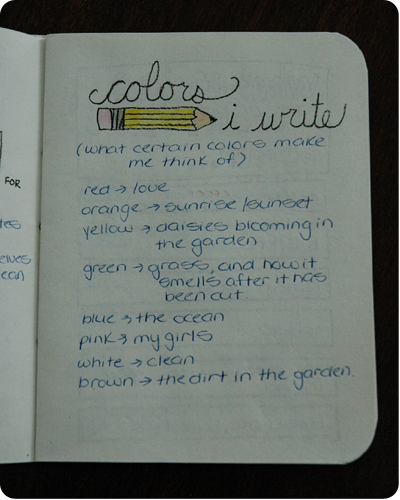 I used my favorite colors, my favorite papers...this is a page all about me. 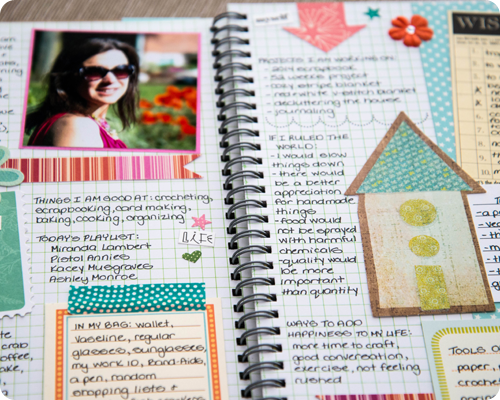 In the end I had a page full of journaling – my thoughts and feelings, my story – surrounded by pretty papers and details. 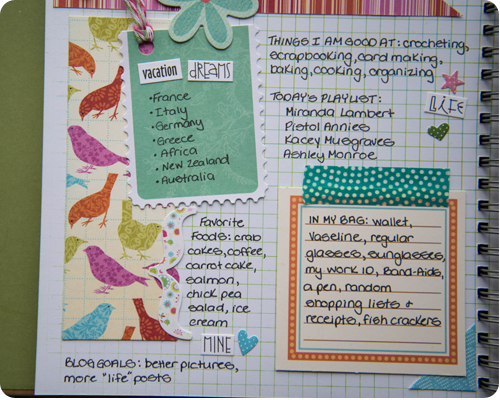 The perfect merging of scrapbooking and journaling. 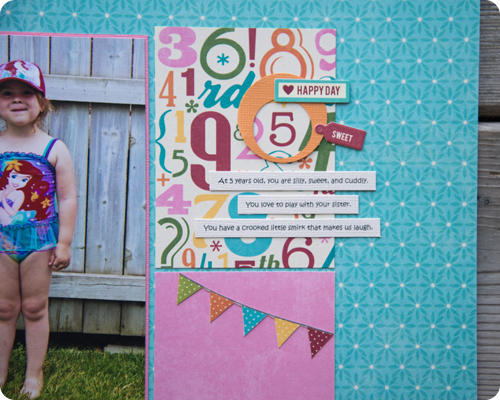 To say that I am happy with how my page turned out would be an understatement. I am thrilled. I absolutely love the random look of the page (a huge departure from my clean and simple style). 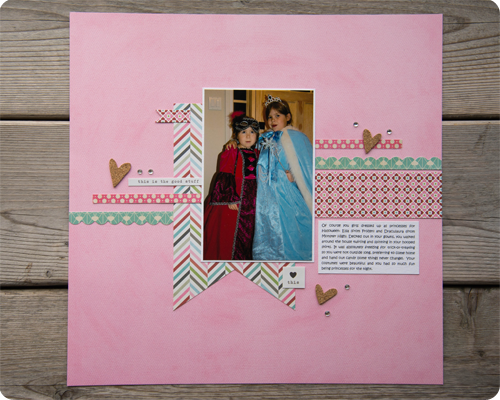 Also, I am happy to have used some of the bits and bobs that have been in my scrapbooking supply pile for a long time. But most of all I am happy that I have my words down on paper. So happy. I have a few other pages that I would like to do in my book and as I finish them up I’ll share. My plan is to add to this book over the months and years to create a personal anthology. It has been a goal of mine for some time now to record more about myself. I spend a great deal of time and effort recording the happenings in my family, yet more often than not, I am left out. 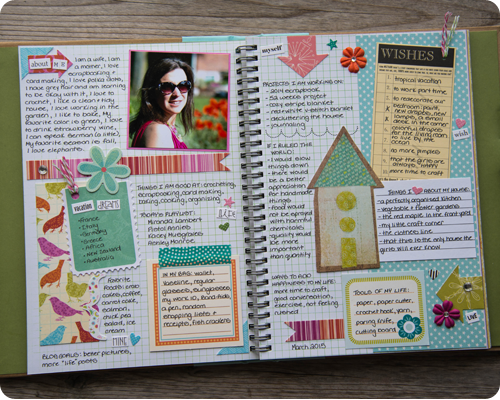 I really think that journaling is great solution, an excellent way for me to inject a bit more of myself into my memory keeping, both for my own benefit and for the benefit of others around me. Imagine what my girls will think when they read this down the road? And I am truly amazed by how much calmer and at peace I feel after I have had a chance to journal....which is truly a benefit to everyone in my family. Spring break could not have come at a better time...gosh did I ever need a break from work and the girls certainly needed a break from the school routine. It has been a great week....nothing too adventurous, just some much needed and deserved down time to relax and recharge. 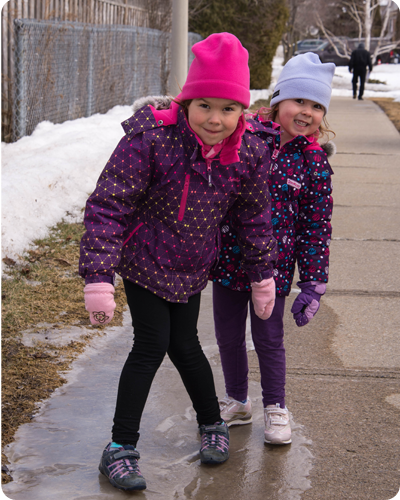 We did venture out a few days to some appointments and to do a few errands that had been put off far too long, but for the most part we stayed in and around the house. And it was lovely. I was a little concerned going into the week that the girls would bicker and fight, but instead their imaginations seemed to kick into overdrive and they were happy to play make believe games such as 'baboons' and 'mountain goats', most likely influenced by the Planet Earth series that they are watching. While the girls were keeping themselves occupied, I was able to sit on the sofa with a cup of tea and crochet. I have set a mini goal for myself to reach the mid point of my cozy stripe blanket. Once I am at that point, I will do a post showing you how it looks half way done. I am almost there so stay tuned. I also did some journaling...in my SMASH book which has sat untouched in my drawer for three years. This was my first attempt at art journaling and I really enjoyed it. Definitely a departure from my usual clean and simple style, but so fun. I have also really enjoyed watching the snow slowly disappear and reveal the garden below. It is a relief to see less and less snow in the yard everyday. 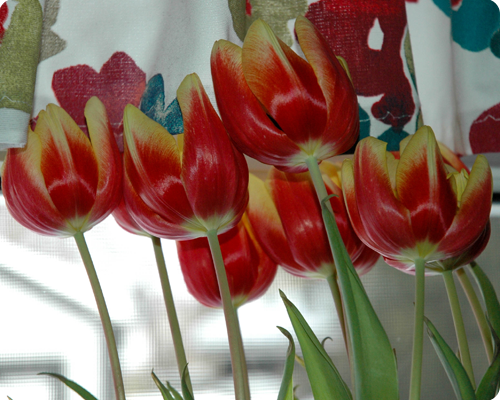 It is still cold, but spring is definitely in the air. Today we are off to see Frozen on Ice. The girls are incredibly excited. 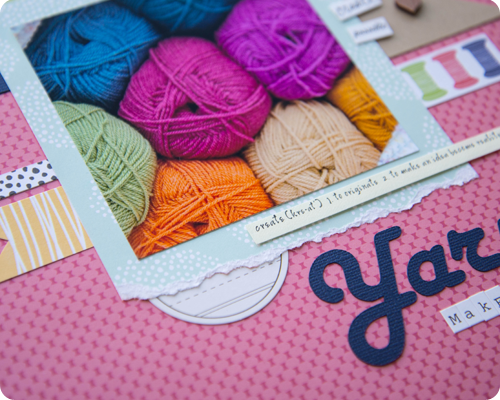 Two of my favorite things have met each other harmoniously on this layout – yarn and scrapbooking. 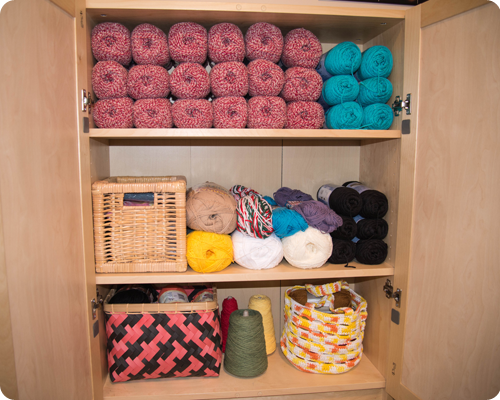 Yarn makes me happy. Yes it does. 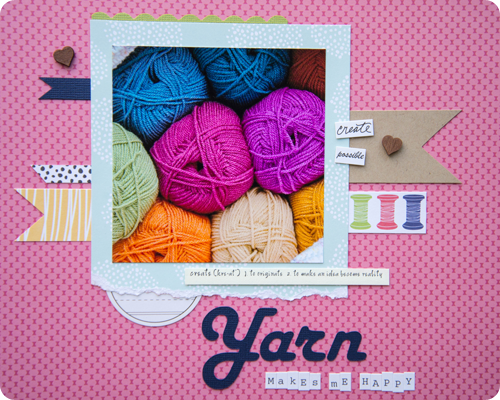 And a scrapbook layout to celebrate yarn also makes me happy. 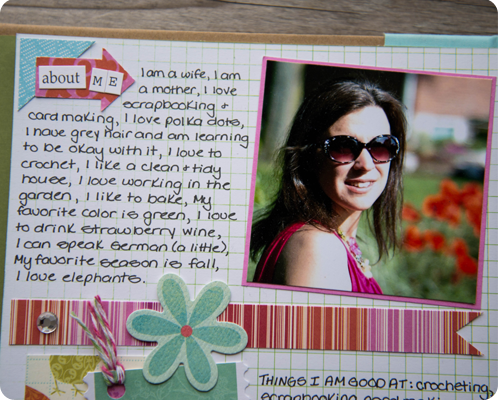 Inspired by my recent journaling, I feel I need to include some more “me” type layouts in my albums; pages about myself (still working on that) as well as some that celebrate the little things in my life that make me smile, which this layout surely does. It was fun creating a layout using a picture with no people in it. And also fun to rummage through my pile of embellishments to find a use for some of those really old bits and bobs. 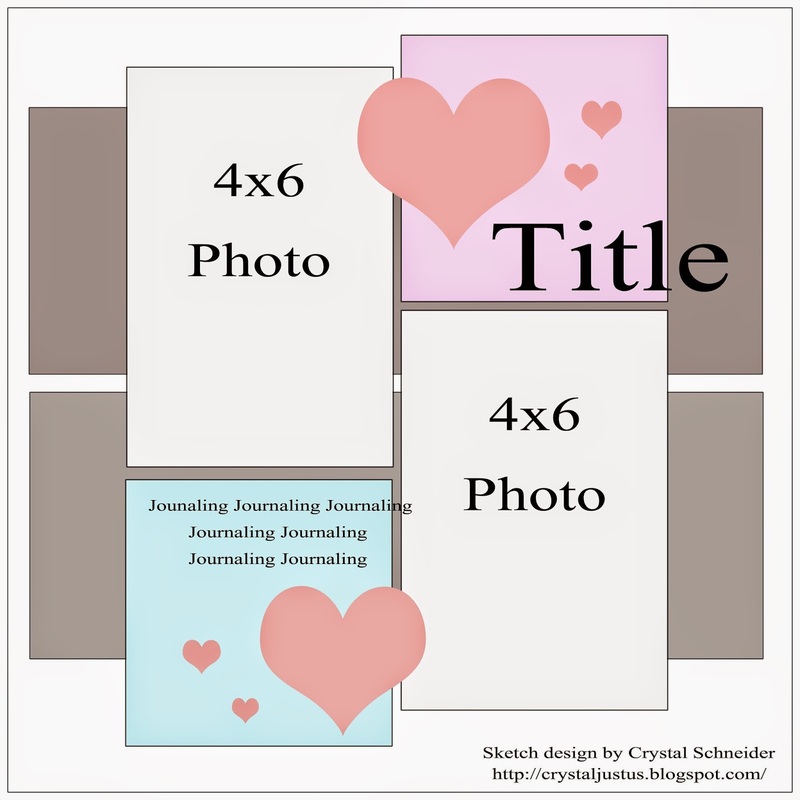 Have you created a layout about yourself lately? Or of something that makes you smile? I encourage you to try it; it is awesome. Do you hear me breathing a huge sigh of relief? 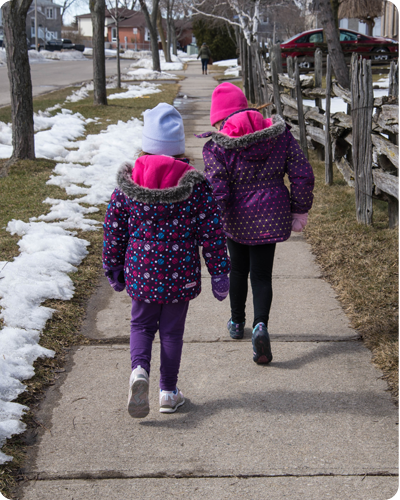 Spring break has finally arrived and I am looking forward to a week at home with my girls – no work, no school, a break from routine....and lots of crafting time. Hooray!!! 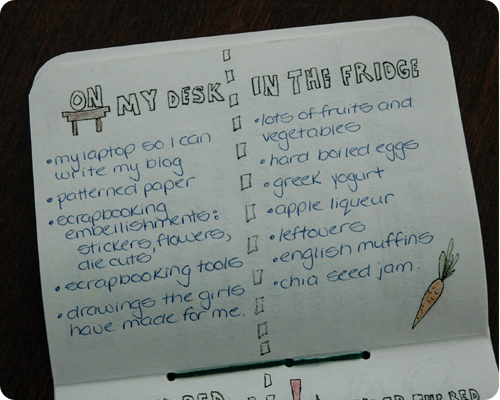 What better way to start off the week than with another sketch challenge from The Memory Nest. 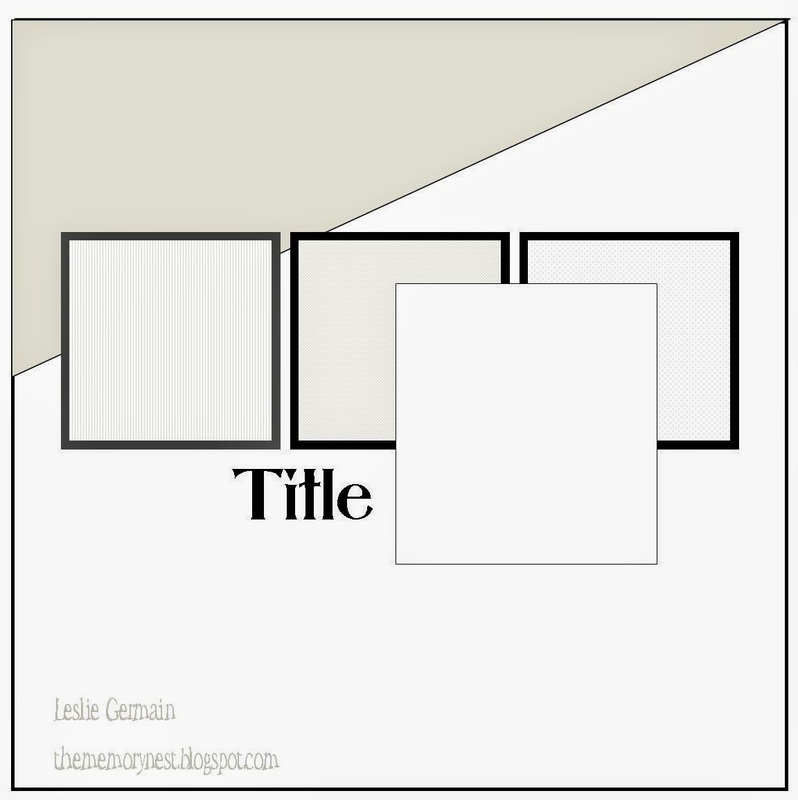 I love this sketch – the grid design is just perfect for me, a gal who loves clean and simple. 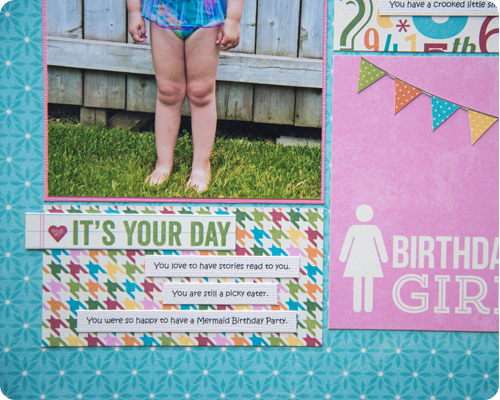 All papers and embellishments are from the Birthday Bisque line by Jillibean Soup. You know I love me some Jillibean Soup; one of the best paper companies out there (in my humble opinion). It goes without saying that the other ladies on the Design Team have done a superb job creating with this sketch. Be sure to head over to The Memory Nest to see their work and to soak up the inspiration. I've had several comments in the last while from people who like my clean and simple style. Thank you so much for your kind words; I sometimes look at my pages and think they must look incredibly plain next to some of the other layouts out there, but they are exactly as I like them (isn't that what matters?) and it is nice to know that others love them as well. Artists always need a little encouragement (or is that just me? 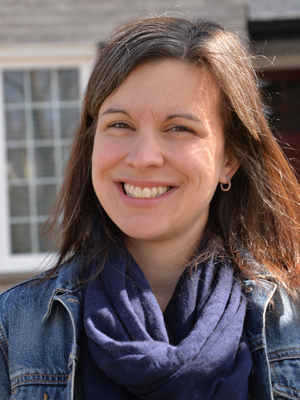 ), and I love blogs for that: as great places to celebrate creativity of all kinds. Today’s layout is very CAS. I honestly do not think it could get more clean and simple than this. I chose a neutral base for my page. Embellishments were kept to a minimum. 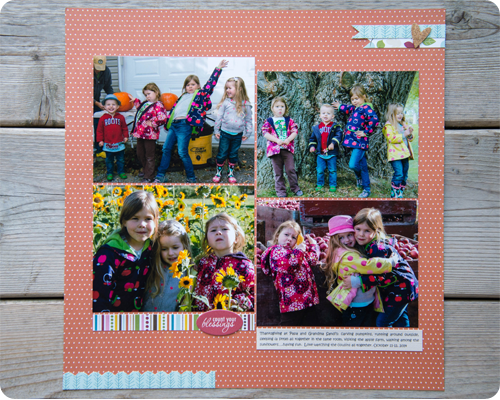 And the pictures of my girls and their cousins spending some time together outside on a beautiful autumn weekend take center stage – which is what I strive for on every layout. I love clean and simple. It just looks right to me. Thanks for loving it as much as I do. An impromptu reading center built at the bottom of the basement stairs. 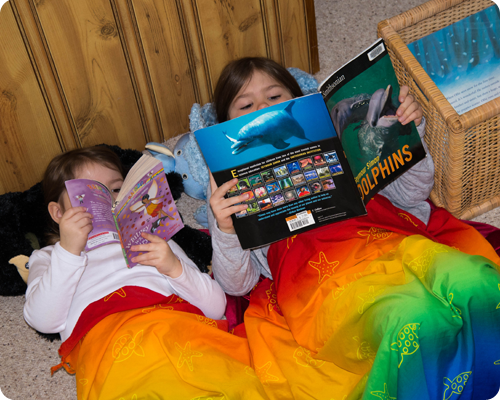 Pillows, a blanket, and the book basket nearby; there is really nothing you girls love more. 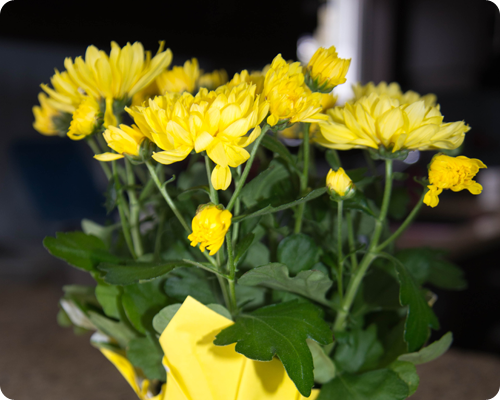 The purchase of fresh flowers is absolutely necessary for surviving a miserable winter. And the third thing that is making me smile this week is my furnace (no picture of that for obvious reasons). It has been so cold here lately, colder than in the Arctic some days; I wish I was kidding. Every time I walk into my warm house from outside, I am incredibly thankful for the furnace that keeps me and my family comfortable. 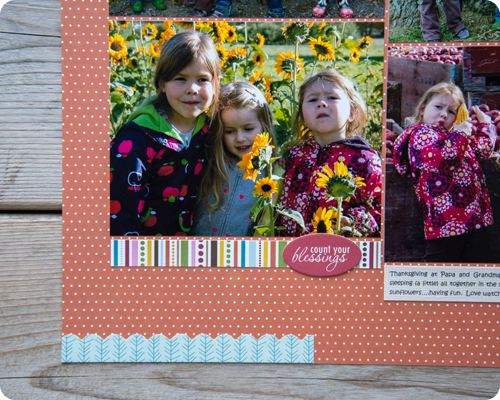 I ended up using this picture of my girls and I to create this layout. This was a candid shot taken during a family photo session. I love that I am looking at the camera, Bridget is gazing off into the distance, and Claire's face is covered with her hair - truly a moment captured rather than posed. 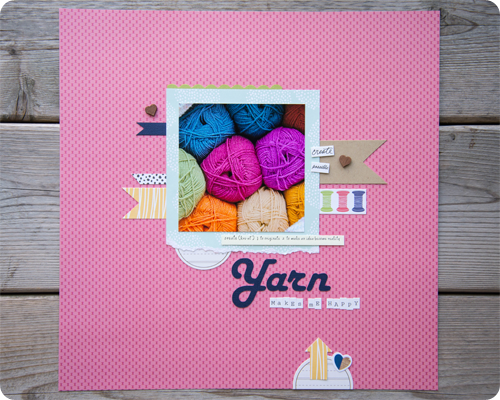 The paper I used is from the Homespun line by Simple Stories. Such beautiful paper! If you are ready for a dose of incredible inspiration, please visit The Memory Nest to see what the other designers have created based on this sketch. 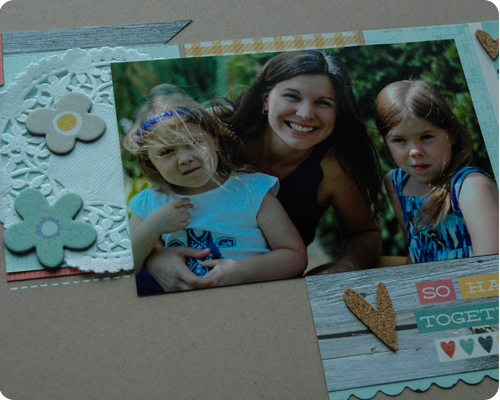 Thank you so much for visiting and happy scrapping. 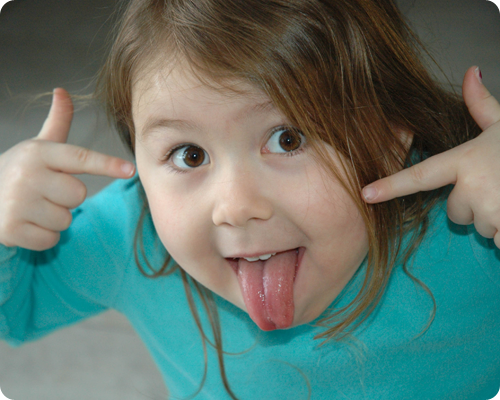 Claire: You are the girl with a thousand silly faces. 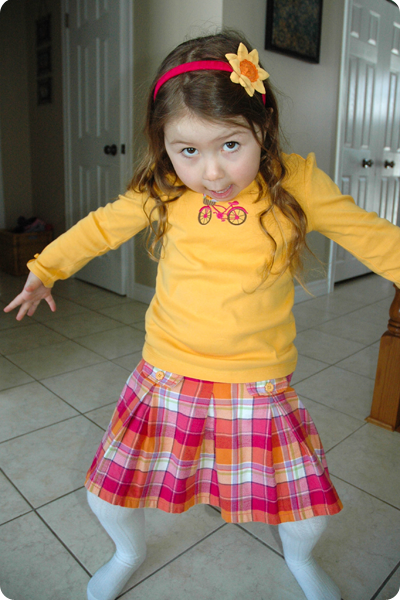 Bridget: So determined to learn to sew, you wanted to start off with a dress as your first project. 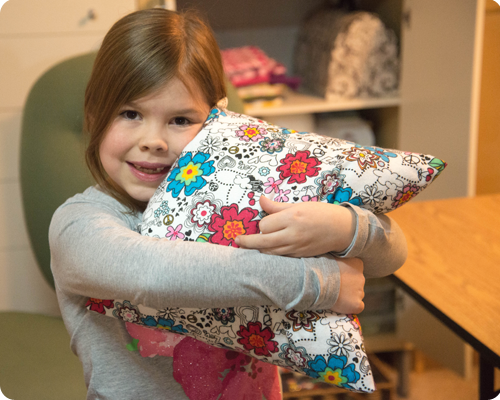 Instead we made this pillow, working on controlling the pedal and guiding the fabric through the machine. You did very well, sweet girl, and you were so incredibly proud of your work.